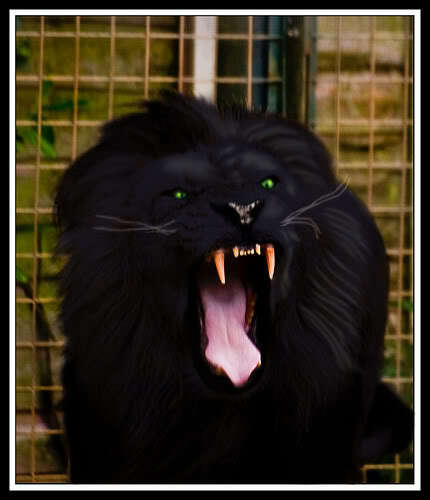 During the past few months, some very striking photographs of black lions have been circulating online. However, as I exclusively documented in a previous ShukerNature blog post (click here), I have successfully exposed all of them as Photoshopped fakes – having traced the photographs of normal tawny lions (and, in one instance, a white lion) that had been transformed into black lions. A couple of days ago, however, I discovered online what at least to me was a new black lion photograph (the photo of a supposedly captive specimen that heads this present ShukerNature post), because I had never seen it before. But when I duly investigated it via Google, I soon uncovered its presence on a number of different websites. Whereas the previous black lion photos were skilfully prepared, however, this latest one is much cruder, with grey lines having been added to its mane in an attempt to enhance its fur’s definition, which had been obscured due to the conversion of its colour from tawny to black. Nevertheless, in order to confirm without any shadow of doubt that it was indeed a fake (produced via Photoshop or some other photo-manipulation software), I needed to track down the original photograph of a normal-coloured lion (or possibly even a white lion again?) upon which it had been based. As seen here, placing Andy’s photograph and the black lion photo side by side reveals conclusively that the latter has been prepared from the former – but by whom? 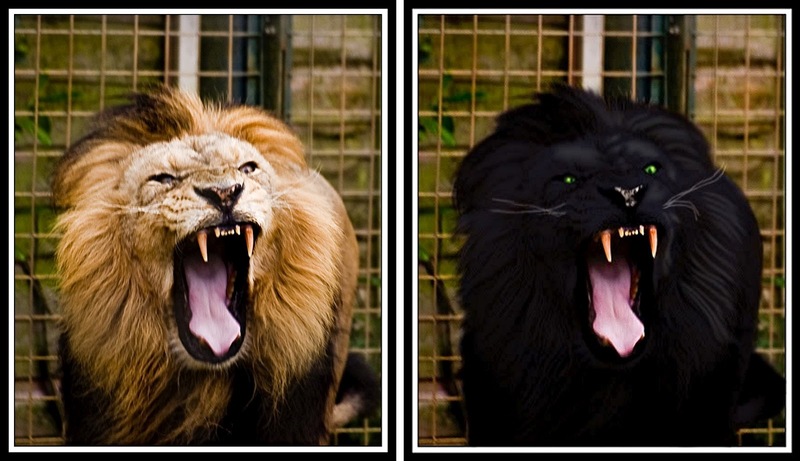 As yet, I have not been able to trace the perpetrator of this latest black lion photo-fraud, but at least I have been able to verify once again that genuine photographs of black lions are every bit as elusive as the latter mystery cats themselves! 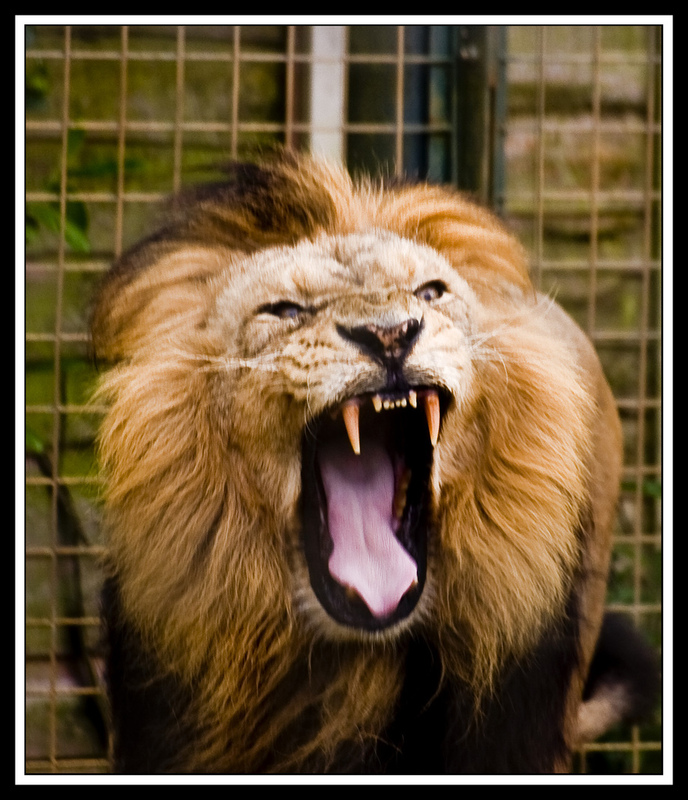 And don’t forget to click here for my previous ShukerNature exposure of fake black lion photographs online, and also to learn about alleged sightings of bona fide black lions in the wild. 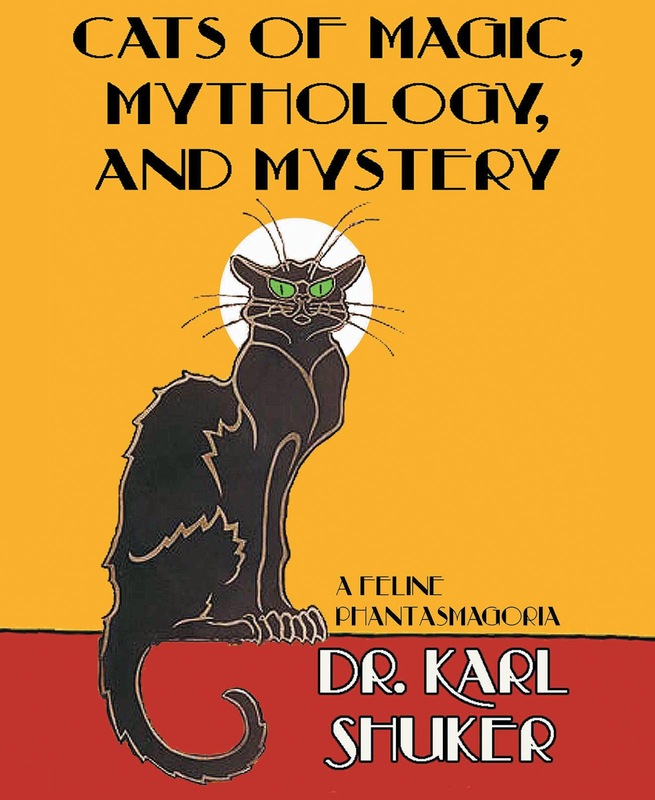 In addition, I have included a section on black lions in my soon-to-be-published all-new, full-colour book on anomalous felids – Cats of Magic, Mythology, and Mystery (CFZ Press: Bideford, 2012), which expands upon the information contained in my much earlier book, Mystery Cats of the World (Robert Hale: London, 1989).